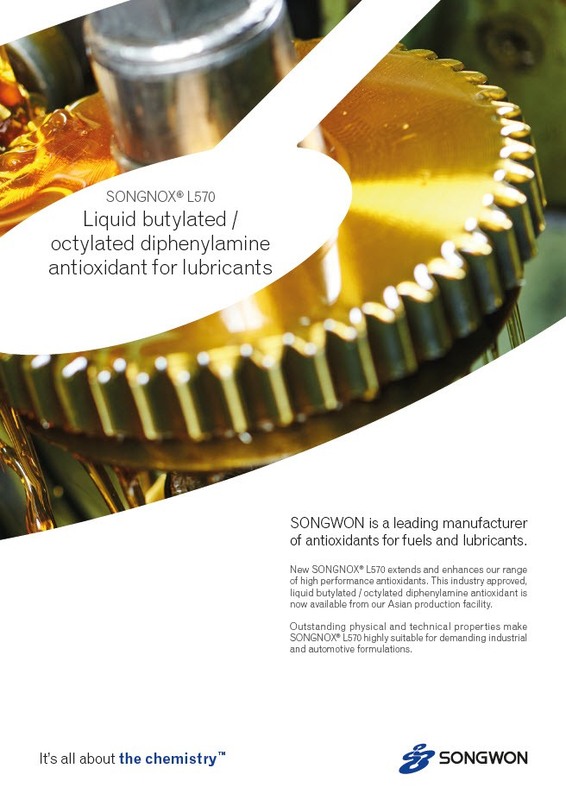 SONGWON has extended its range of antioxidants with the addition of SONGNOX® L570. Looking for an aminic stabilizer for lubricants and greases? SONGWON has extended its range of antioxidants with the addition of SONGNOX® L570. This cutting edge, highly versatile product provides excellent primary antioxidant protection against thermo-oxidative degradation by reacting with and stabilizing free radicals. SONGNOX® L570 is designed for demanding automotive and industrial lubricant end uses as well as specialty applications such as grease. Discover more in our technical leaflet and feel free to contact our experts if you have questions.